Spykar claims to be India’s leading fashionable denim wear brand. Keeping up with the ever-changing dynamics of fashionable denimwear clothing around the globe has always been at the core of the brand. Backed by a 25-year legacy, Spykar certainly defines the rules of the fashion arena. Spykar embodies the ideology of “Young & Restless” which beautifully captures the state of mind of the youth of today. Youth has been pivotal to the brand – Spykar has been phenomenal at making all the fashion fantasies of the youth a reality. From what we started as a men’s denim brand sold at multi-brand outlets, Spykar has expanded its portfolio to become a one stop shop for casual wear ensemble for both men & women. The future looks even brighter and stronger now with Spykar becoming a part of the Lord Bagri promoted Metdist Group, a diversified portfolio of companies. Spykar’s target audience being the youth – it is ideal to be harp on the platform the millennial swears by! Spykar has launched YnR range of specially curated denims, inspired by global trends – created for the Young & Restless generation. The YnR range of denims are designed for the ones who explore their own boundaries and stretch their potential. The collection celebrates individualistic styles with their subtle nuances. Designed for the young & restless generation, the YnR denims recreate the stories of travel, exploration and timeless journeys. Spykar needed to build awareness about this newly launched range and to reach out the younger newer audience in the most effective way. Also, Spykar embodies the ideology of “Young & Restless” which weaves aptly with the target audience and the collection nomenclature. Engaging activity which would resonate well with the youth and create a buzz around “YnR” – the newly launched collection at Spykar. Largely, the brand wanted to Introduce the YnR range, create intrigue around it, showcase the collection and engage the target audience. The activity also broke through the internet with on spot live posts. The activity was a clear resemblance of the pulse of the brand and the rhythm of the entire collection. #Repost @mrunu with @get_repost ・・・ Believe me I laughed a lot 😂while making this @manjullll here’s my #MovesLikeYnR dance Haven’t had so much fun since quite sometime Why dont you try it? Take up the challenge, send us your moves at www.spykarynr.com and win free Spykar vouchers worth Rs.5000 Find the duet on @spykarofficial musical.ly handle. Also, post your videos on Instagram/Facebook and don’t forget to use #moveslikeynr .. Let’s keep the dance going!! And I’ll see you guys in Pune on 29th of April #MovesLikeYnR #YnR #Spykar #dance #indiadancers #MovesLikeYnRChallenge #muser #musically #ndmplStarSquad @spykarofficial … . 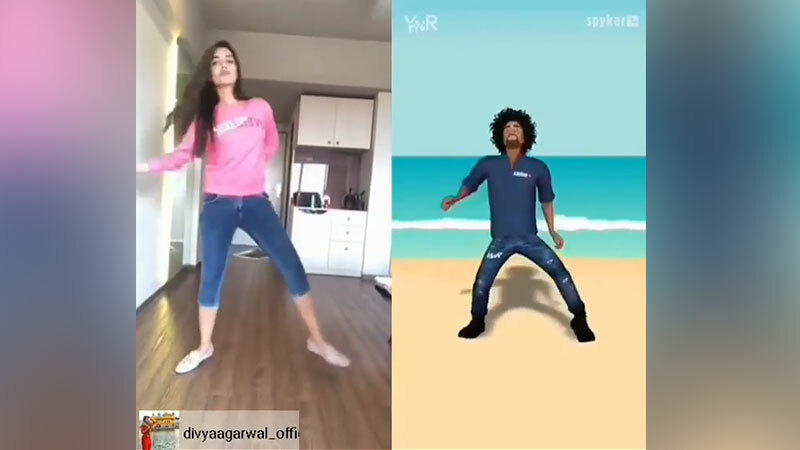 I challenge @arshfam to take up the #MovesLikeYnR challenge… Show us what you got! Created a great impact in a short span. 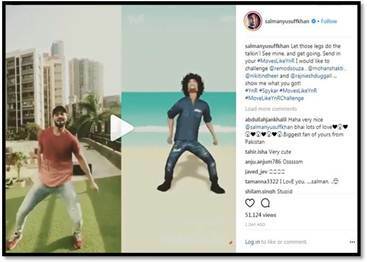 The intriguing dance moves & other interesting engaging content on social media was quite effective. Brand was successfully in building the awareness around the newly launched range and the brand ideology of “Young & Restless” – all with minimal spends.